As the temperatures lower, we start using our dehydrator more. 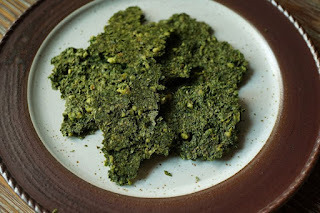 One of our favorite snacks are Crispy Kale "Crackers", which are made from all whole foods. They can be made in the oven or in a dehydrator. However, you do need a food processor to chop the kale up very finely. 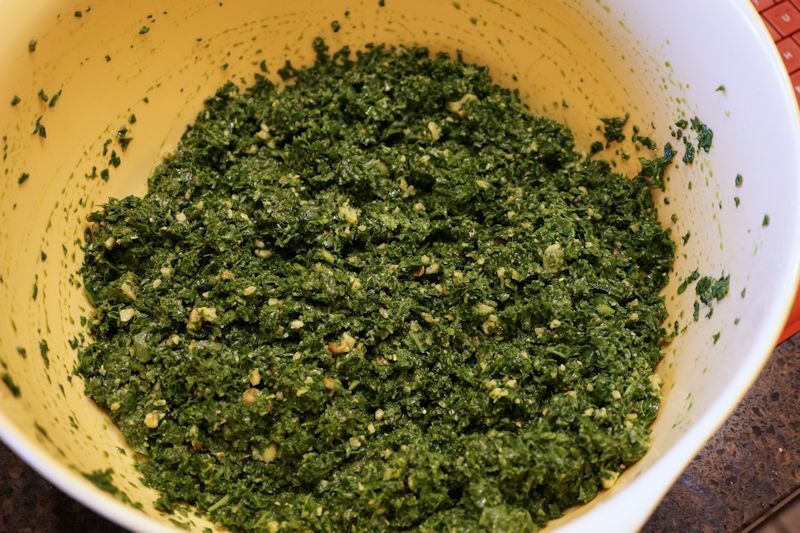 Put washed kale and place in food processor bowl (1/2 of the leaves at a time) and process until it is ground into tiny pieces. Process the other half with the walnuts until ground into tiny pieces. Put all processed kale and walnuts into a bowl and add all of the rest of the ingredients. Mix together well. Spread mixture onto a cookie sheet covered in parchment paper about 1/4-inch thick. Try to spread it smoothly. Bake on LOWEST SETTING in oven until fully dehydrated and crispy. Time will vary. When the mixture is dry but not fully crispy yet, you can break the mixture into crack-sized pieces and flip them over once to make sure they are drying out well on both sides. 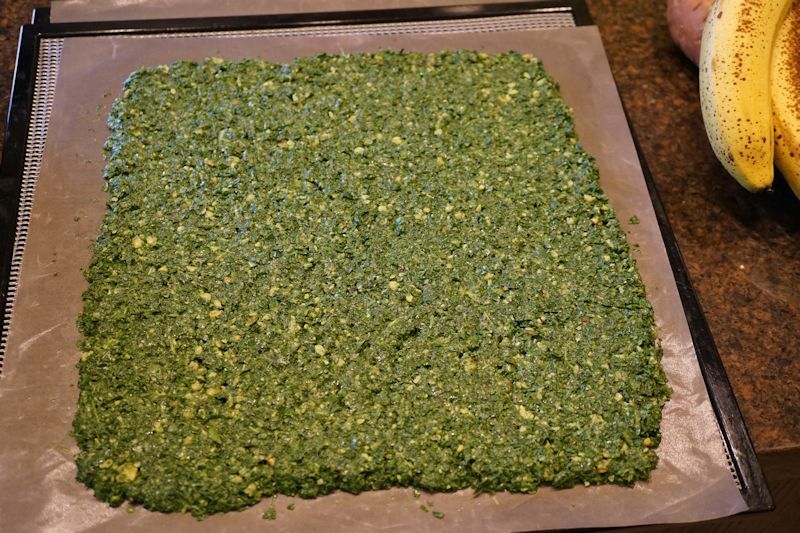 If making in a dehydrator, set to 115 degrees. Mine take about 10-14 hours to dehydrate, and they are considered "raw" because of the low temperature being used. Dehydrating at that setting keeps most all the nutrients intact. Make sure to flip the mixture over once (around the last 2 to 3 hours of dehydrating), breaking it into cracker-sized pieces as you flip them.